CSE-NC is a silicone elastomer filled with nickel coated graphite carbon particles. It provides high electrical conductivity, broadband shielding and environmental sealing. 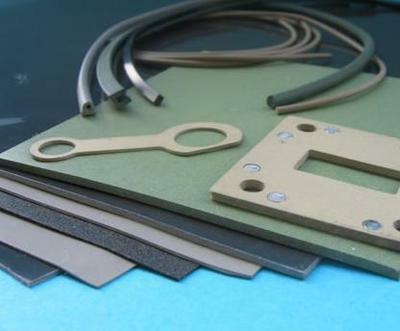 CSE-NC is designed to provide reliable cost effective shielding for a wide range of EMI applications ideal for the commercial market. 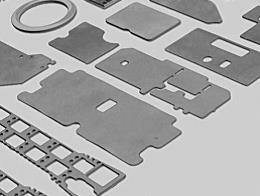 CSE-NC is manufactured in sheets, molded shapes, extruded profiles and die-cut gaskets. CSE-NC should be used where there is a need for high broadband shielding combined with excellent environmental sealing properties. To assure electrical conductivity and sealing reliability, the recommended design compression for sheet and rectangular strips is 7%-15% of original height. 12%-30% for round and “D” shapes and 20%-60% for tubing and “P” shapes. The hollow shapes are designed for low closure force applications over compression is not recommended since it can result in compression set and degradation of electrical conductivity. CSE-NC provides high conductivity, broadband shielding and environmental sealing with good price-performance. It is ideal for commercial applications. Available in molded sheet / rule die-cut parts, extruded and molded shapes.